Thanks (again) for using one of my photographs D.C. Policy Center (@DCPolicyCenter) and @DataLensDC in the use of data and beautiful visualizations to tell a story about our city. 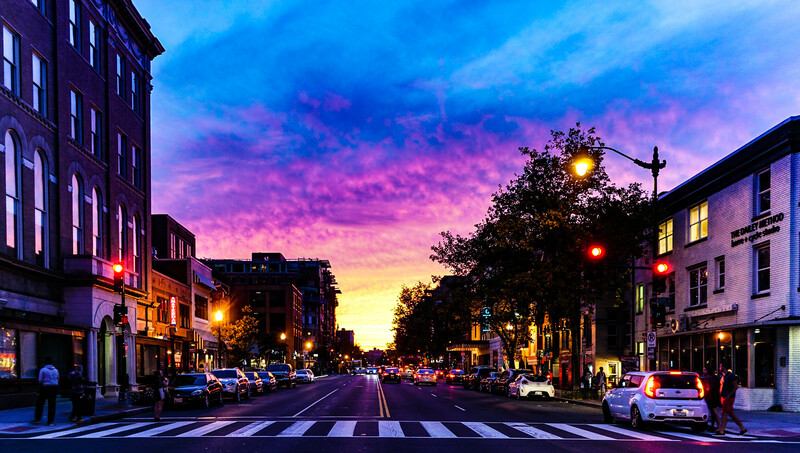 It was taken last fall, during a beautiful sunset on U Street, NW, just steps away from where Thurgood Marshall worked to end school segregation. It’s a great place. In this case, it’s about the survival of nightclubs, bars and restaurants, especially interesting at the neighborhood level. Also interesting in at the temporal level, with the exit of President Bush and the entrance of President Obama in 2009. The photograph is part of a series, which you can see here. Isn’t Washington, DC beautiful?